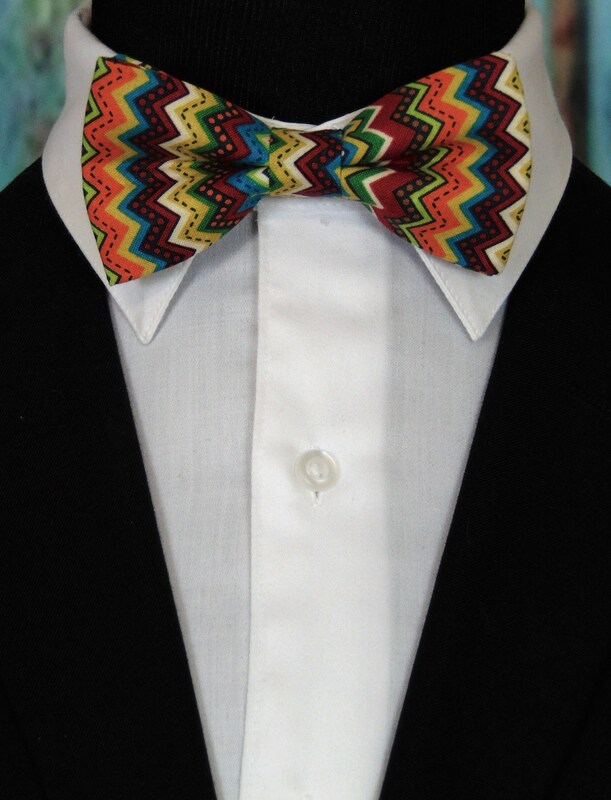 Cinco De May Bow Tie – Mens Pretied Bowtie for Cinco De Mayo. Also available as a Extra Long Bow Tie. 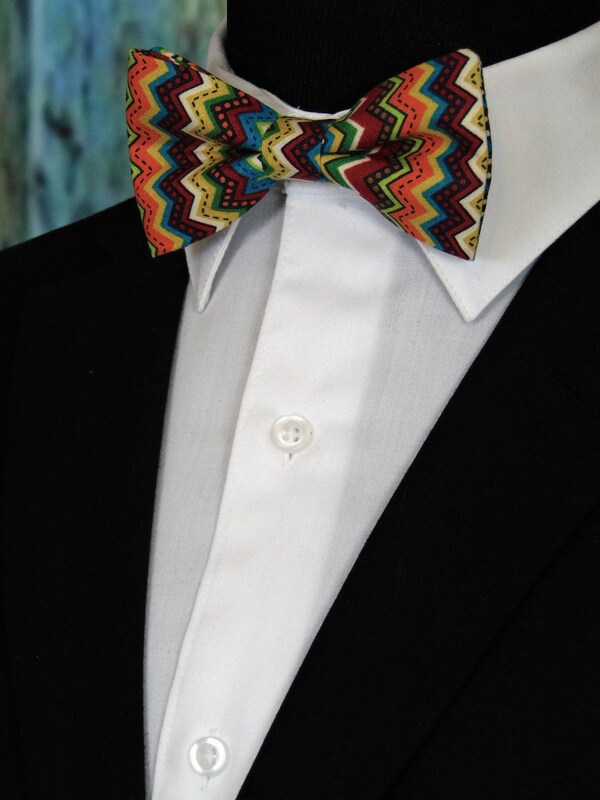 Mens pretied Cinco De Mayo bow tie. 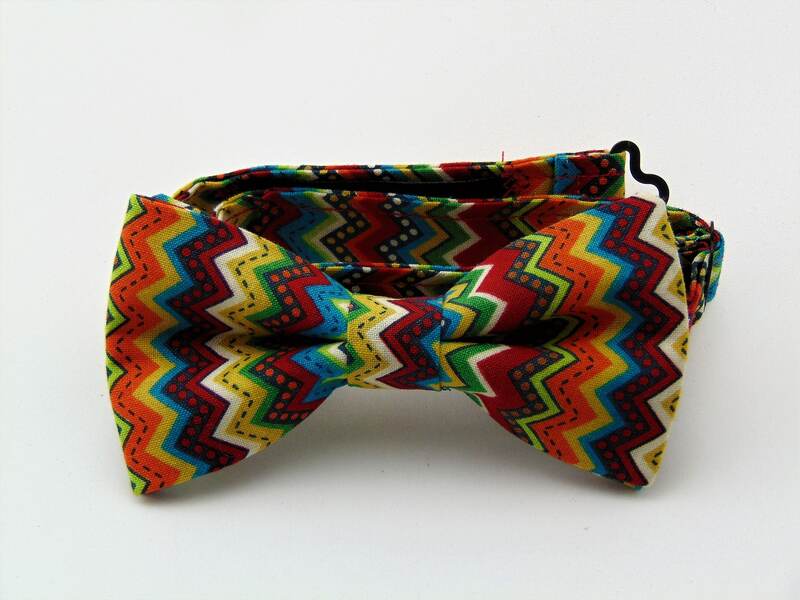 Features a Mexican pattern with colors of red, green, orange, blue and yellow.